Take to the skies and experience Bend and Central Oregon in a way that will show you stunning views of the Cascades, Deschutes River, and Smith Rock. Join us on our helicopter tours to see Bend’s surrounding landmarks from above. 60 minute scenic flight for up to two passengers plus professional photo guide. Fly the exciting "doors off" city highlights around Bend, Oregon,Lava Lands and the snow capped Cascade Range! 100% weather guarantee. Full refund for weather cancellations. Inspirational and enlightening art tour excursions around Bend. Our incredible art tours highlight the amazing cultural contributions to Central Oregon by Artinpublicplaces.org, regional professional artists, and local makers. Locals know Central Oregon is a special place from the ground. But what only a few of us know, is how utterly stunning it is from the sky. Our scenic helicopter aerial adventure tours allow you to not only see Bend and Central Oregon, but to experience them too! Go where few others have have gone before! What can we do to make this tour special? Feel free to call our office and let us help you make this flight even better! All flights are private. Max weight per flight is 560 lbs. Helicopter Pilot Tipping? If you feel your pilot has made your flight special feel free to express yourself. As local pilots flight tips are spent back in the Bend economy so your dollars go a long way. Thanks! If you feel your pilot has done an exceptional job feel free to express yourself. 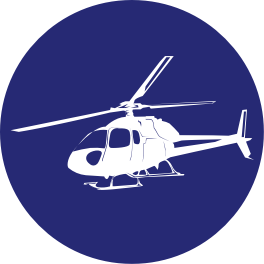 Participants must sign digital waivers and provide individual weights prior to flights as per FAA regulations for helicopter flights.